Using text books to learn Japanese can be tricky business because they are often made for class studying rather than self study, but it doesn’t mean they’re not useful if you can’t afford the time or money for classes. Why are you studying Japanese? What’s your goal? It could be to read manga, watch anime without subtitles, to be able to read/speak it while on holiday or for a possible career. Your answer will mean that you need text books to focus on different things. 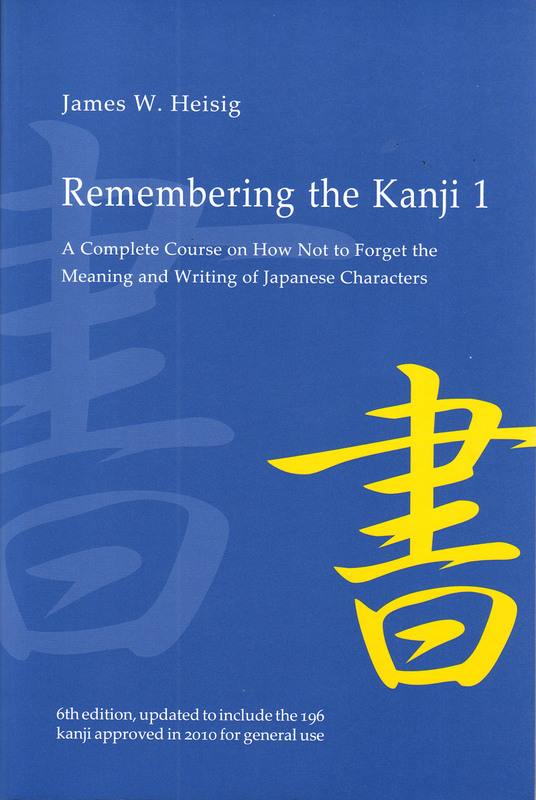 If it’s reading, you’ll need a book that focuses on kanji and lots of reading practice. If it’s for a job JLPT and business books are the best way to go as they give you clear goals with a certificate that shows your skills to employers. Getting text books can become costly, so it’s useful to know what you’re getting and that’s it’s the right one for your goal and learning method. Japan Language Centre (Europe) and Amazon (global) are a great places for buying books at a reasonable price. If you do have a Japanese friend or teacher who can check your work and improve on your mistakes, that’s always a great help too. Self-teaching while studying with a teacher will improve your Japanese much faster! I don’t think beginners necessarily need work books because there are so many online resouces for them. But some people need direction, set structure and a clear goal and text books/work books can be really good for that. The following are 2 textbooks that I have used in the past (but in lessons not for self study). There is also Japanese for Busy People but I can’t expand on that if I’ve never used them. This series is written by mostly Japanese language teachers from Kansai Gaikokugo Daigaku (Kansai International Language University). There are 2 in the series and are made for beginners (JLPT N5-N4). They are well rounded books that tries to use speaking, reading, listening and writing. 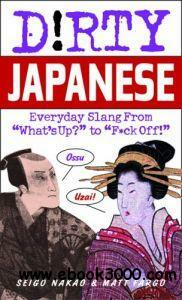 With 23 lessons covering 300 kanji and 1100 vocabulary and grammar. Exercises are written into the book so you don’t have to buy an extra workbook (although there are workbooks useful for extra practice). Lessons are set up with a conversation (to be practised out loud) with a translation; vocabulary list; grammar; lots of practice exercises. 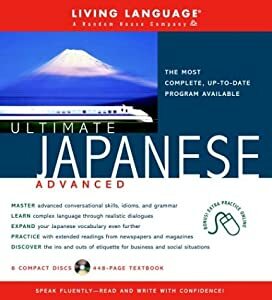 It’s designed so that you learn the vocabulary, grammar and kanji through use and comes with a CD for listening exercises as well as the conversation. 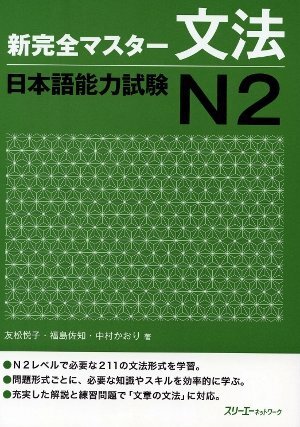 These books are split into 4 with beginners I and II, followed by intermediate I and II, which I would argue covers good practice for JLPT levels N5-N2. Each book has 25 chapters (100 chapters by the end of Intermediate II). Each chapter has vocabulary; practice conversational sentences; exercise; grammar, as well as CDs for listening practice. Each text book comes with a seperate workbook as the texts don’t have as much practice as Genki does. They also provided romaji versions (for those not interested in learning to read Japanese), and a kana workbook (for those that are). 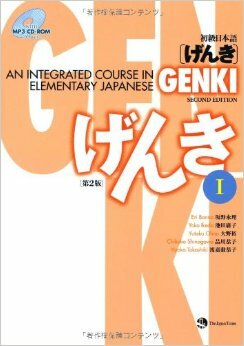 Personally I am more of a fan of Genki for self-study because I find Minna very intensive and compact making it harder to read (for me). If you are self teaching you may also need to buy the translation book as the texts don’t come with English explanations (they expect you to be working with a Japanese teacher). But if you work through the series they cover a lot more ground and are very good for intensive learners who have a good drive and want to learn fast (although speed of learning depends on how much you push yourself). When I was using Minna no Nihongo Intermediate with a teacher I found I was doing 1 lesson per week. Cheaper than Genki but a lot more books to buy. If you’re looking to start learning Japanese without a teacher or tutor this book is a good first choice. Every chapter builds gradually upon the chapter before and the vocabulary choices are useful for everyday speech. You will of course want to supplement the given vocab with another source but that is true with any textbook. Each chapter starts with a brief dialogue between 2+ characters. These are a great way to introduce the grammar points and some of the vocab of the chapter in natural spoken Japanese. If you aren’t practicing with a native speaker the audio cd can be beneficial to allow you to hear how it should sound and to avoid embarrassing mispronunciations. After explanations of the chapters grammar points there is a brief quiz to ensure you’ve retained some of what you just read. Also, at the end of each section (every few chapters) there is another, longer, quiz; again to ensure that it’s sticking. The book starts introducing hiragana and katakana in relation to vocabulary you’ve learned instead of just “alphabetical” order, which aids in remembering. After all 46 hiragana and 46 katakana have been taught the dialogues and drills will start to appear in kana, aiding in recognition and speed reading. The book will also then venture into common kanji and kanji compounds which will also appear in following dialogue section. So there is a good reason that I suggest using this book because it’s bot just dirty Japanese, but daily phrases good for a visiting foreigner and is GREAT for beginners. All the phrases are in romaji, kana and English. You don’t just have to use it as a phrase book either, but as a way to study sentences, phrases and vocabulary. You can do this by going through the book and putting vocabulary and phrases into a flash card program like Memrise, and work through them. You’d be amazed at how much useful stuff is in this book. 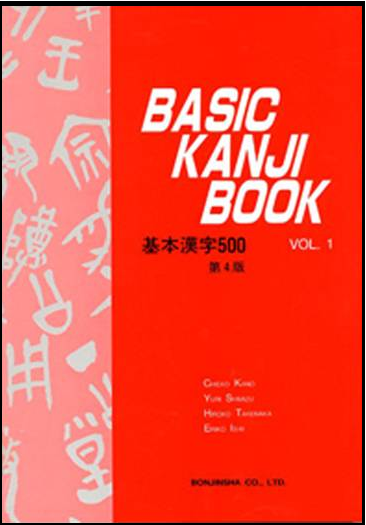 There are 4 books to this series that covers 1000 kanji and their kanji based vocabulary. The great thing about this series is that it focuses on the stroke order or kanji and practice writing. This is really important as it helps you to remember how to write the kanji and looks neater when it’s written in the right order (believe me, Japanese people can tell). The bad thing is that there isn’t much space to practice the kanji based vocabulary and you need to put in the extra effort to learn these on the side. I find learning vocabulary with the kanji really helps you memorise the readings for them. I recommend that you don’t write in these books and do the exercises separately (it means you can go back and re-do exercises and when you’re finished it will have a higher re-sell value). 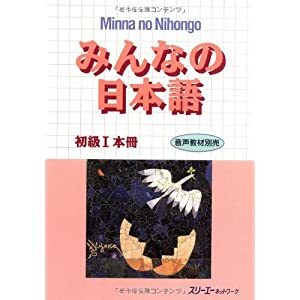 This book teaches you kanji through stories to learn the meaning and how to write it. It contains 2042 kanji but NO Japanese readings. It’s cleaver because the thought process behind the book is that Chinese people are really good at Japanese because they already know the meaning to a lot of kanji, so this book is giving you that same ability as a westerner. So you might not be able to read outloud, but you can deduce the meaning of a word. This book is very good for remembering the kanji but recommend reading it while also practising with other methods of study (i.e with Basic Kanji book). 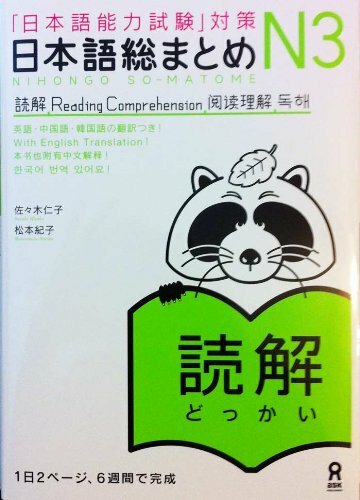 There are others in the series for learning an additional 1000 and for learning the onyomi (Chinese reading) only but I’ve heard reviews that say the other two volumes aren’t as good as the first. If I was beginning I’d only buy the first volume and worry about the others later. There are no specific text books for beginners JLPT (N5-N4 levels) but the subjects for these are covered in most beginner textbooks, and there are LOTs of online resources for N5 and N4 which you can find on google. I have a JLPT N5 study guide (with accompanying N5 Memrise course) and a JLPT N4 study guide including test break down, resources and study methods. The following are books specially made for JLPT N3 and higher. Or 日本語総まとめ. This is a great series made for N3-N1 levels, and includes separate books for vocabulary, kanji, grammar, reading and listening comprehension. Each book has daily lessons with exercises to work through with day 7 acting as a “test” day. This is perfect for self-study. The only problem is that the questions are probably too simple and don’t prepare you for the tests. But if you don’t want to take the tests and just study Japan these are perfect. Or 新完全マスター. This series is similar to So-matome in the way it has books specific for vocabulary, kanji, grammar, reading and listening, BUT I feel these books are a LOT harder. This is because they are closer designed to the conditions the JLPT exams will come in. If you just want to self study Japanese the Somatome is good. If you aim to work in Japan and/or take the JLPTs it’s worth taking the time to study these, even doing them after the Somatome would help you steadily teach yourself Japanese rather than jumping in the deep end. This course is aimed at people wanting to work in Japanese business and focuses on interactions in an office environment. I’ve worked through the audios (not the book) and found them great to practice my Japanese speaking and listening. Although they’re aimed at high levels they go over a lot of basic vocabulary, but it doesn’t hurt to review. The only problem is that even though it’s a series from 2003, like the Beginner-Intermediate levels, it’s hard to find. You can find ebooks and download the audios if you can’t find somewhere to buy it. These are just texbooks I’ve used in the past to learn Japanese. Have there been any others you’ve used and found useful for self study? Please leave your comments below! 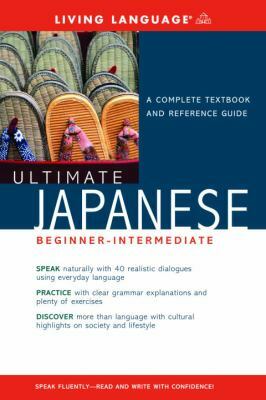 Tagged Advanced Japanese, Beginner Japanese, Intermediate Japanese, Japanese Textbooks, JLPT.